A new round of the Cloud Platform App Contest will give SAP PartnerEdge Build Partners the opportunity to win exclusive recognition of your SAP Cloud Platform App Solution, e.g. at key SAP events, through individual marketing videos to showcase your solution to customers, SAP stakeholders and partners. SAP Cloud Platform Build partners (PE Build Partner) have until November 30, 2018, to submit their applications for this year’s awards. 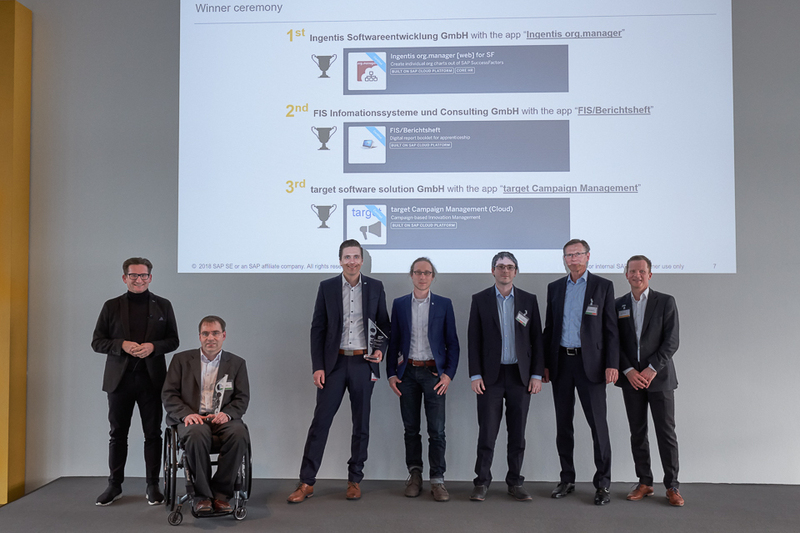 The winners were announced at the SAP Cloud Partner Info Day in March 2018 in Walldorf. At the ceremony, Alexander Arnold, Senior Vice President of Global Channels and General Business for the MEE region, thanked all the partners for their contribution.The winners will have the opportunity to produce a customer reference video showcasing their app. Wolfgang Schuller, Managing Director of Ingentis and winner of this year’s App Contest was very pleased by this recognition of their work: „For our marketing and communication with customers and prospects, rewards like this one are very helpful, since they prove our active partnership with SAP and the high quality of our solutions”. For any questions, please use this contact address.